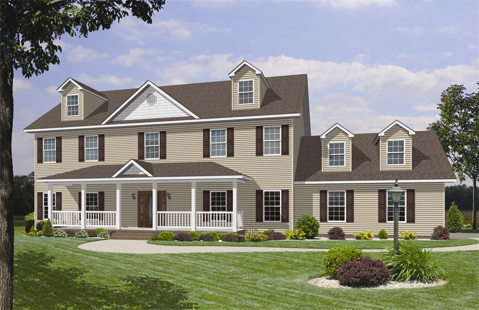 Homes by Vanderbuilt is excited to present the Bradenton, a two story, 4 bedroom and 2.5 bathroom modular home. The Brandenton is great for families 4 or 5, or just those who have collected other items around the room. The master bedroom in particular is a sight to see. Measured at 17″ x 13″, the Master bedroom makes you forget that you’re in a modular home and makes you believe that you’re in a stick built home. Can People Tell the Difference Between Modular and Stick Built Homes? No!